Repeat prescriptions for drugs you take all the time can be obtained by returning the computer slip from your previous prescription or by telephoning or faxing the surgery. The prescription line is open 24 hours a day to leave a message. 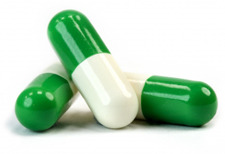 The surgery is open from 8.30am until 6.30pm for the collection of prescriptions. Don't forget to leave enough time to order your repeat prescription before your holidays and MOST IMPORTANTLY, take your medications on holiday with you! We are able to send your prescriptions electronically using the NHS Electronic Prescription Service (EPS). How can patients use EPS? Ask your chosen pharmacy or dispensing appliance contractor that offers EPS to add your nomination for you. If you have repeat prescriptions from your GP, you will not have to visit your GP practice to pick up your paper prescription. instead, your GP will send it electronically to the place you choose, saving you time. You can chose a pharmacy which is convenient for you, such as near to where you work, live or shop. Can patients change their nomination or cancel it and go back to paper prescriptions? Yes you can. If you don't want your prescription to be sent electronically tell your GP. If you want to change your nomination, speak to your newly chosen pharmacy or dispensing appliance contractor that offers EPS. Tell them before your next prescription is due or your prescription may be sent to the wrong place. Sometimes dispensers may see that you have nominated another dispenser, for example, if you forget who you have nominated and ask them to check. 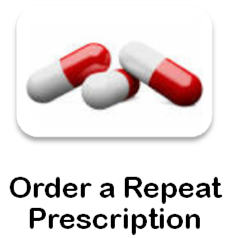 Dispensers will also see all the items on your reorder slip if you are on repeat prescriptions.